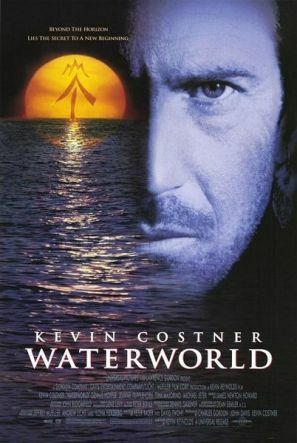 WATERWORLD premiered to an enthusiastic audiance in July of 1995. The movie's reception by the public was less than overwhelming. Since then it has developed a large cult fan base. a woman and a young girl try to find dry land. In the future, the ice caps have melted. Those who survived have adapted to a new way of living. The world is covered by water and mankind has no recollections of their past. The stories of land are but a myth, only a map inscribed on a girl's back hints otherwise. The survivors are desperate; a group called the Smokers, have guns an airplane and an oil tanker, go to all extent to find the girl that holds the secret to dry land. Her only hope is the one called Mariner, a mutated human that can breathe under water. The idea of capturing the dangerous power and mystery of the earth's oceans has compelled mankind since the beginning of time. Fascination with the sea has remained compelling for mariners and storytellers alike over thousands of generations. For cinematic storytellers, with little access to CGI, the task of shooting a full tale almost exclusively set on open water is formidable. As a filmmaker, shooting on the water requires a tremendous amount of patience and stoic perseverance. 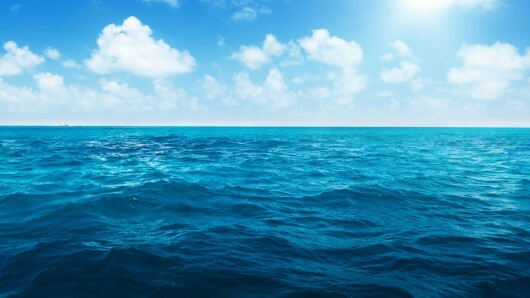 Water is inconsistent; it moves and changes with the slightest change in breeze. Changes in weather conditions affect the lighting and mood of a scene, as well as the motion of the set, props, and actors. Many movies have been made about and on the sea. The Waterworld movie production was the first to build full size sets and film them almost entirely while floating in an uncontrolled environment. For Costner, Waterworld offered an opportunity to try his hand at a genre unlike any he had previously encountered. During the conceptual design phase Kevin Reynolds spent time at Easter Island, a remote south pacific location 2000 miles from the nearest mainland, to film Rapa-Nui for which he had spent several years preparing for. While in the south pacific Reynolds developed a sense of the look and feel of ocean habitation and survival that is portrayed in the Waterworld Atolls. During this time Steve Burg was brought on as an illustrator to establish the storyboards and flesh out the functional components from the script such as the hero’s boat. 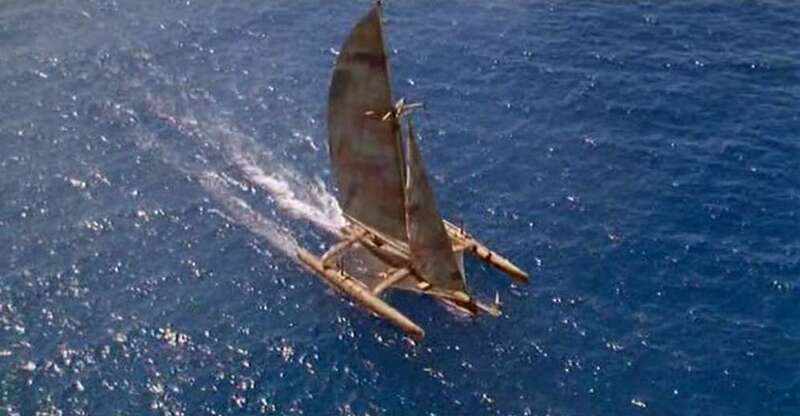 The original script called for the heros boat to be almost a Swiss Family Robinson contraption with counterweights on the mast, cranes and rigs, controlled from multiple workstations throughout the vessel. An early concept art showed the vessel covered with planks and ropes and gadgets so much so that it was almost unrecognizable as a boat. Scaffolding ran up the mast with places for plants in small greenhouses and a small grass hut on deck. 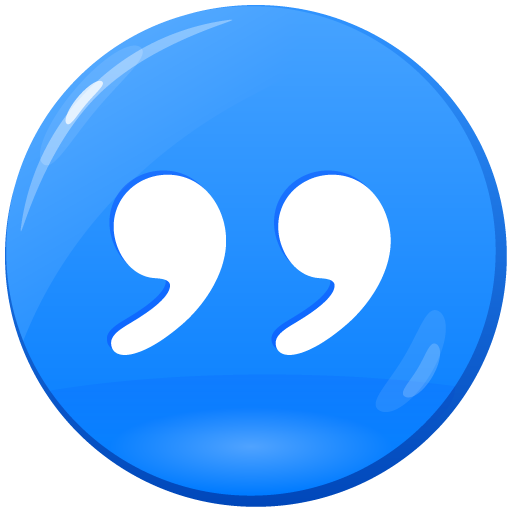 Steve Berg - “I knew nothing about boats, so the first thing I did was research. We knew we wanted it to be a very unique craft and we discussed building a catamaran, which is a sailboat that has two parallel hulls. The hero character required a vessel that could be managed by one person. Within the WATERWORLD movie storyline, the Mariner had spent a lifetime working on and improving the vessel with almost every possible tool and convenience he could scavenge. We find out later that as he is capable of deep dives his resource pool is much wider than the other survivors. Onboard was a urine purifier, harpoon gun, solar powered hot glue gun for repairs, mast mounted wind turbine for generating power. With this in mind another rewrite to the WATERWORLD script occurred. Removed was the white horse on deck driving a turnstile for power. (Presumably he survived on seaweed and green house plants?) The Trimaran became the noble warriors white steed.